Durham events supply DJ equipment. We have 6 x CDJ2000 nexus, 2 x CDJ900, 2 x DJM700 1 x DJM850-K & 2 x DJM900 nexus, and 1 x DJM900 NXS2 Pioneer mixers, all flight cased and ready for use. We supply these with cables to connect to any sound system. 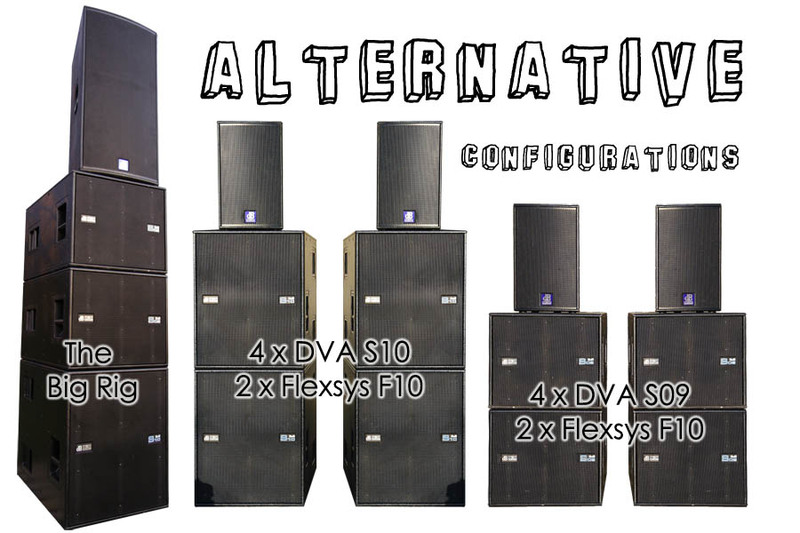 We also have over 10 different configurations of sound systems capable of providing coverage for small parties through to 1000 strong festivals. All prices are exclusive of delivery, setup & collection charges, which are charged at approximately 50p per mile for delivery and between £10 and £50 depending on the rig. 2 x dB Technologies Opera 405 (15″ 128 dB max SPL speakers). Outdoor Festival, Very large indoor party, indoor Dance music event up to 400. KV2 ES 5000 watt rig, comprising 4 x ES 1.8 subs & 2 x ES 1.0 tops driven by 2 x EPAK 2500R rack amps. This is a horn loaded high definition soundsystem suitable for indoor or outdoor use where getting the sound to the back of the room is essential. For more bass heavy requirements we can add anything from our other stock to this system to supplement on stage or configure delay stacks. Comes complete with all cables. £300 plus delivery & install. Take the above rig, add another one the same. KV2 Double ES Rig- for serious dance music events and extremely large parties. For touring bands and top 40 performers. For events with more than 300 people on a dancefloor. Price: £650 plus delivery & install.